Are you branding your small business? As a branding designer I work with women in business who are all at different stages in their businesses. One thing they all have in common is the need to look unique, look open for business and look professional so that it makes them feel confident about their gorgeous business. For some of my customers branding their small business is one of the biggest investments they make, this and their website, and for this very reason it’s the most scariest thing too – trusting someone else, passing over your baby, essentially, to make your business come to life. 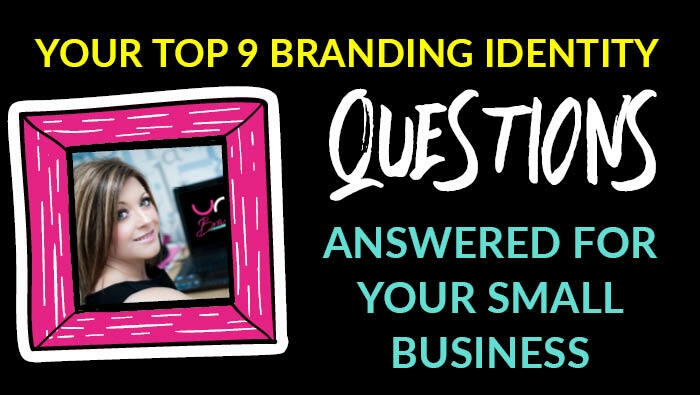 Today I’m going to share my answers to 9 of the most common branding identity related questions that I get asked all the time. I have no idea how to design my brand, where do I start? First thing is first ask yourself the following – what’s your budget? Do you want to DIY or would you like it to be done by a graphic designer? Do I have the time to design it myself? Do I have the skill set to design this myself? So firstly set yourself a budget and work with that. If you want to DIY as you have a limited budget then I suggest you use something like Canva or PowerPoint to design yourself a text based logo, and do a little research on font types that work well together. On the other hand if you decide you want to invest in your branding and hire a professional then do a little bit of research on graphic designers, ask for referrals from other people in your circle, check out their portfolio and their social media platforms as well as their website and packages. What packages do they offer, is there one that includes everything that can get your business off the ground, do they offer social media templates as well as social media banners, or do they just do a logo package? What do you actually need? Do a comparison of each based on your needs for your business, then see who ticks the boxes and who can bring your business to life for you. Once decided touch base with them, ask if they do consultations, if they do, then this is your opportunity to see how well you would work together down the line – do you connect well and would you work well together? Remember, they are the key to your visual success – get this right and you’ll be flying in no time at all. Should I have logo or a website first? My advice is logo and branding first, from that your web designer can then work with your brand guidelines and implement your brand colours, images, styling, look, feel and fonts into your website based on your standards your graphic designer has set up. How do I maintain my brand once we finish working together? When branding your small business, your graphic designer should design a set of brand guidelines (as mentioned above) that outlines all your brand colours, fonts used in your logo, font to use within your marketing to complement your brand or add personality, fonts you can use which are responsive on your website and match your brand style, plus images that depict your brand. How to use your logo, what not to do and what size to use it at on different mediums. Your brand guidelines AKA ‘brand bible’ is what will keep you on track. Plus from a personal perspective I source images for my customers on completion to help kick start their marketing. I’ve been DIY designing for so long I’ve lost my consistency, how do I get that back? I would suggest you pull together ten keys words that sum up your brand in a nutshell words you use often or list your values, then find six-seven images to depict the overall feeling for your brand on Pixabay or Unsplash, or one of the free sites listed on my 150 Free Tools for Women in Business. Then pull those together with your logo in word or canva in a one page document, and look at some of the colours in your imagery. I guarantee there will be similar colour tones in all of these. Pick five colours you feel resonate with you and your business – draw solid circles and change the colours of those to your five colours. Visit my facebook page for loads of great mood board inspiration in the photo tab. It’s so easy to do and you will start to see your brand, with your core colours, logo, imagery and you’ll capture the feeling for your brand on one single page. It’s also great to list your fonts too – the fonts within your logo and the fonts you want to use within your marketing. Google Fonts are free and you can find more on Font Squirrel which are 100% commercial free. Yes! Do I need to rebrand if I change who I want to target? This all depends on the business type you have at the moment. So if you’re a papercutter crafter and you want to launch online courses teaching the art of papercutting then a simple tweak could be added to your logo to differentiate your product based business from your teaching one. But if you’re a papercutter and you launch a new product based business – let’s say for instance – a business planner/journal – then your new target market would be small business owners – this is different to your product papercutting ‘give a gift’ business you have, now – in this case – YES – I would suggest a new brand. A friend did my logo and I hate it and never used it, how can I improve it, or should I start again? What I always say is that if it makes you feel rubbish about your business and you don’t want to show it off then you will never feel good about it. I recently worked with a lady who felt just like this. She had stuffed her business cards with the logo in her drawer and had never given them out! She was embarrassed and ashamed. And they did not represent what she did at all. After we worked together she has a brand that she now wants to show everyone – shouting it from the rooftops and looking open for business. Now THAT’s business confidence! So I ask you, if it makes you feel rubbish, should you really be using it at all? Do I need a brand? Great question! And this comes down to personal preference. If you feel confident pulling your marketing together and it looks and feels consistent then you probably already have a brand of sorts. Your brand is everything you do, from your customer service, your values, how you respond to emails and personality. NOW, your brand identity is a separate thing altogether – it’s your logo, colours, fonts, imagery – it’s the visual part of your business – the part customers see first. A combination of the intangible elements and your tangible elements complete your whole brand. Your logo is one part of the whole. If you have the budget to invest in your business then I suggest investing in a logo and build that beautiful brand but if you are limited by budget then use something like Canva, as mentioned previously to pull together a simple text based logo for yourself until you are ready to invest. Also as suggested above pull a mini brand board together to help you maintain and build your brand. But, if you don’t have a clear understanding about design or lack any creativity then ask for help. 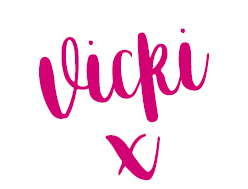 I had a logo designed on a cheap website and I can’t use it on any of the literature because it looks too similar to another brand I know and it’s also low resolution and unusable, can you help? My suggestion would be to either have it redrawn or start again. My Shine Online package is one that allows women to work with me when they already have a logo but really have no idea how to use it. Sometimes as part of this my customers often upgrade their package, especially when they discover that using it on printed/offline literature won’t work. Sometimes it’s a simple tweak or conversion that needs done and other times it’s a complete redraw. When it comes down to it – do you want to look professional and not fuzzy or distorted? Do you want to use your logo on and offline? Do you want your branding to reflect the quality of your products and services? Then stop holding yourself back and don’t make the mistake of looking cheap and out of focus. My logo was designed by a designer who didn’t ask me any questions about my target audience and now it feels wrong, what can I do to make it work? I recently had a conversation with someone about her brand and my first question was, “So from the looks of your branding, your target market is women?”. “No” was her reply. I was baffled. Her logo was pink flowers, and her target market? Builders! The two have no connection. There is no part of her brand that speaks to her target. If you market your business from the outset with a look and feel that targets your ideal clients then those clients will be attracted to you. Make sure you choose a designer who listens, is intuitive and can work out how to make you stand out and attract your customers. Your designer should spend the time with you and work with you to get your logo and your branding perfect. It should feel amazing and it should feel exciting. When it doesn’t it means that the connection isn’t right. As a designer I send you a questionnaire initially to get the creative juices flowing and then we follow up with a one to one before any designing takes place. Your designer should ask you, who your customers are, what do you want to achieve, where will the business be in 10 years’ time, what fonts do you like, what colours do you feel resonate with your business, what do you want to avoid when describing your business, what makes you unique…. All of those questions and more in order to enable them to get your brand right. I hope you’ve found this helpful and feel free to comment below and ask me anything you are struggling with at the moment with your branding. Find out if you should have a rebrand: Should I rebrand my business? Are you asking yourself this very important question?